September 16th 1932; in his cell at Yerovda Jail near Bombay, Mohandas Karamchand Gandhi begins a hunger strike in protest of the British government's decision to separate India's electoral system by caste. 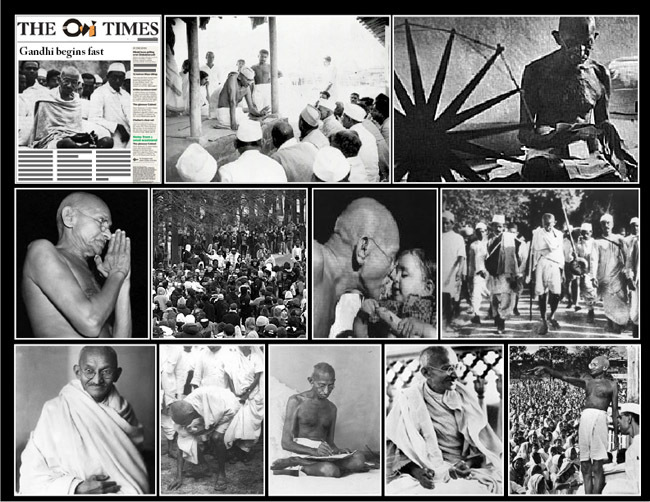 As India slowly moved towards independence, Gandhi's influence only grew. 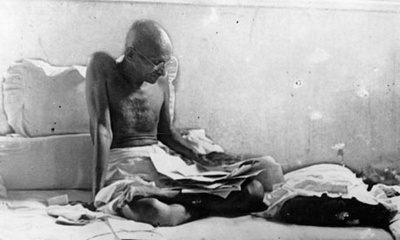 He continued to resort to the hunger strike as a method of resistance, knowing the British government would not be able to withstand the pressure of the public's concern for the man they called Mahatma, or "Great Soul." On January 12, 1948, Gandhi undertook his last successful fast in New Delhi, to persuade Hindus and Muslims in that city to work toward peace. On January 30, less than two weeks after breaking that fast, he was assassinated by a Hindu extremist on his way to an evening prayer meeting.